Vermont is known for two favorite foods: ice cream and maple syrup. Ben and Jerry’s Ice Cream is located in Vermont. Local farmers feed the leftover ice cream to their pigs. And Vermont is the largest producer of maple syrup in the United States, over 2 million gallons each year. For many years, small syrup producers tapped maple trees and collected the syrup by hand. Today, pumps equipped with long lines of hoses do most of the work. 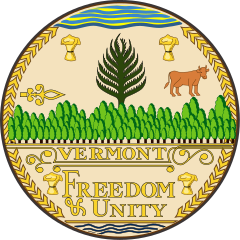 Vermont was originally settled by the French in 1666, until England claimed it in 1724. 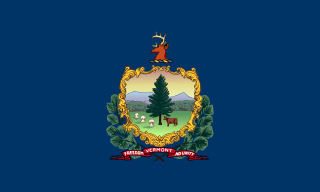 The colonies of New York and New Hampshire wanted to incorporate Vermont into their states. The people of Vermont weren’t interested in either of these options. The state was actually its own country, complete with a postal and monetary system, from 1777 until 1791. Vermont has the largest granite quarry in the world, as well as an underground marble quarry. The steps of the U.S. Capitol in Washington D.C. were made from granite mined in Vermont. The name Vermont means “Green Mountain,” referring to the state’s vast timberlands. Forestry is a big industry here, providing wood for construction, paper, and furniture making industries. In addition to maple syrup and timber, Vermont is known for dairy products and apples. Black bears, deer, fox, moose, barred owls, snapping turtles, and salamanders are just a few of the animals that live in Vermont. The story goes that a sea monster named Champ lives in Lake Champlain. Question: What famous Americans are from Vermont? Answer: President Calvin Coolidge and Mormon leader Brigham Young were both born in Vermont. Snowflake Bentley, a man who spent his entire life studying and photographing snowflakes is from Vermont. Watch a video about Snowflake Bentley.